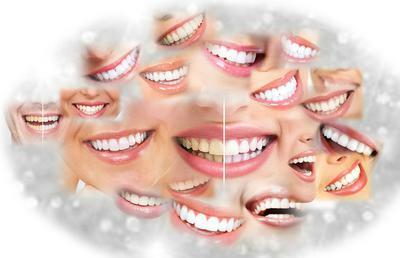 Beautiful White Teeth Means a Beautiful Smile! Beautiful white teeth make even the "Plain Jane" a standout! Let's be honest, when you meet a person who smiles, revealing brown, stained teeth you immediately inwardly cringe and think, "Ugh! How nasty." Isn't it amazing that so many people don't even think about how the condition of their teeth dramatically affects how others perceive them? And whitening your teeth is such a quick and easy fix to your overall appearance! So here's my trick for the best results. . .
Use the professional teeth whitening products available only from the Dentist's office! The concentration of bleach sold at a Dentist's office is so much higher than anything that you can buy over the counter. The professional whitening products also work much, much better and faster than anything you can get over-the-counter. The Dentist office might insist upon making you "trays" that the whitening solution goes it but politely decline. You can buy a cheap "make your own teeth tray set" from any drug store. Just let them know that you already have a mold of your teeth. 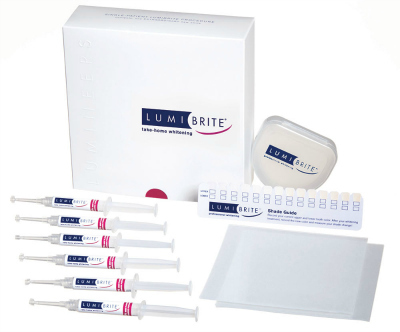 Buy the highest concentration of whitening solution that your Dentist carries because the higher the concentration the less time you have to leave the trays on your teeth. It is a bit more expensive than OTC brands but well worth the extra money. A word of caution, whitening products can make your teeth sensitive so be sure to use it according to directions and you'll have beautiful white teeth in no time. What an awesome tip for teeth whitening. And you are so right! I do the very same thing except that I did have my teeth "zoomed" several years ago and the treatment came with the trays you need in order to use the whitening gel. Now that's what I call a HUGE bargain, right? Great tip! It works so much better than anything you can get OTC. I only wish that my dental hygienist had suggested it years ago. What a fabulous idea! So simple yet effective. The whitening formula you get at the Dentist office is so much stronger. I have used it the past two weekends for only an hour and my teeth look awesome! The kits to "make your own trays" that you buy from the drugstore include a whitening product but the concentration is less than half what you get at the Dentist. A bit of a pain to do but worth it.